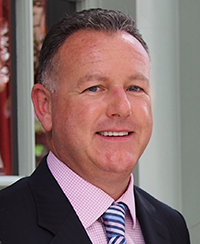 With over 30 years in the field of international tourism; from sales and marketing, to meetings and incentives, through to public relations and exhibition management, Damian provides a full complement of skills and experience to the sales & representation sector. His background incorporates a variety of senior roles in the UK and overseas, including working for British Airways Holidays in Florida and California, PR Manager, European Sales and Marketing Manager for Visit Florida, before he established Ignite Sales and Marketing in 1997. As Managing Director of Ignite, Damian’s key focus is to set the strategy for each account, making sure the deliverables are met on time and on budget, playing a key `hands on’ role with all Ignite’s accounts. Damian has a real passion for the UK travel industry and has a wealth of contacts, great understanding and expertise of the industry.